Why opt for an online real estate management system? 3 Years ago, one of the most frequent questions we received from potential clients was why our MyProperty Solution was an online solution - it was hard to sell to estate agents at that time due to the concept being so new, a lack of understanding all the benefits and agents relying on traditional paper-based or installed software solutions. Today, we sit with over 1000 active users and our long term investment in developing online solutions is clearly starting to pay off. When speaking to potential clients now, an online solution is a necessity and a major advantage. Online property management and centralised collaboration of office and client information is a 'must-have' for the professional agent. How did this mind shift take place? It all began with the introduction of Internet broadband to South Africa, or not necessarily broadband but Internet access at fixed monthly fees. Entegral's vision back in 2004 was to establish a simple system to allow agents to manage their property listings online. We laid the foundations with the introduction of our Office Management System (OMS) framework hosted on high-end servers at Internet Solutions (IS) in Bryanston, Gauteng. With the introduction of broadband agents quickly started to realise the benefits of having a fully managed, online system and enjoy the benefits of a direct marketing channel to the Internet. Today agents have notebooks and broadband data cards that keeps them connected to the Internet (or should we say clients and the office) most of the day. Installed applications have unpredictable maintenance expenses. There is always a delay, lost productivity and associated cost in getting on-site technical support. In most cases there is also operating system restrictions, minimum hardware requirements and the overhead of backing up day-to-day data and loading software patches. An online hosted solutions is really a 'outsourced solution'. The software, including setup, maintenance, backups, daily checks etc. 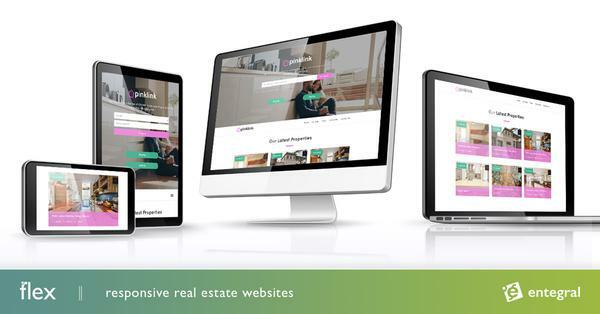 is managed by an external company (Entegral) for the client (estate agents). According to Gartner, more companies look to slash their IT budgets by outsourcing functions and reducing internal IT staff. Outsourcing will simplify internal operations. Entegral's systems was built from the ground up for the Internet, using Microsoft's latest .NET technologies. This simplifies any Internet development to be done, upgrades to our current systems and day-to-day support done on the system. Having an online solution makes sense. Think about it, more and more real estate sales are initiated from initial enquiries on the Internet with agents having a 24 hour virtual shop. Responding to potential buyers and sellers as quickly as you can, updating your property listings on the fly, accessing up-to-date information while at a client or home and not having to worry about data backups or system updates, is all features of an online management system.